2 days for the price of 1! Book your stay at Pinecrest Bed & Breakfast, located in the heart of Montford, a quiet historic district near downtown, yet only 3 miles to Biltmore. 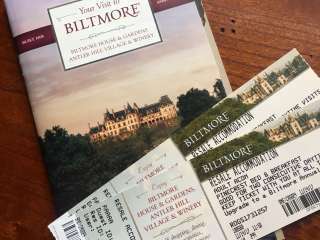 Add two consecutive day passes to Biltmore for just $65/each plus tax. Available online at our website or phone us at 828.281.4275. Book your stay and let us help you with all the details!